While moving fromIran.com to its own server, I figured it was time to learn more about Flickr’s API. It’s easy, so I realised it was time to leave the concept of the site and create something new. 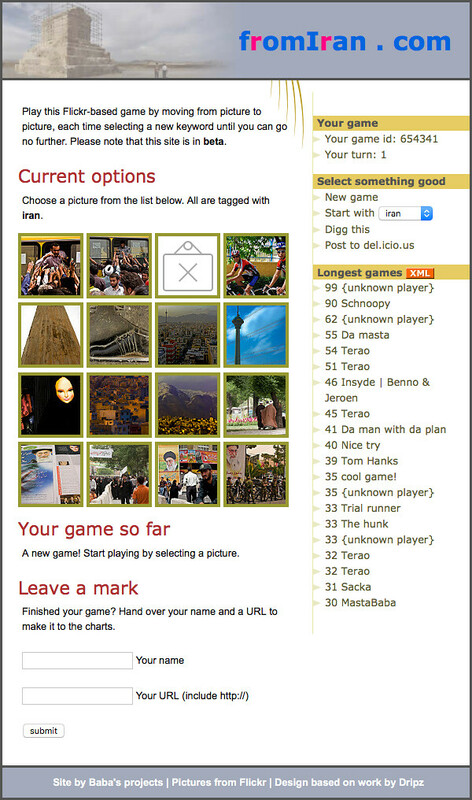 So I created a Flickr-based game, where you create strings of photos connected through their tags. The site was taken offline in March 2012.